Rolette Community Care Center is a skilled nursing facility located in the quiet serene community of Rolette, North Dakota. We offer small-town friendliness and charm to our residents and guests. 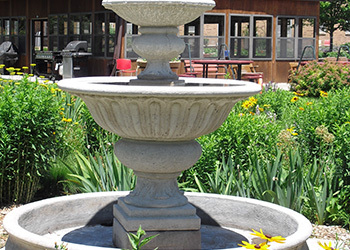 Rolette Community Care Center is locally owned and has been serving the community since 1988. We specialize in providing rehabilitation services onsite to help our residents regain their independence and return to their homes. Often the transition to a skilled nursing facility is challenging. At Rolette Community Care Center, we strive to ease the process by providing an environment where residents and guests feel informed and comfortable. At Rolette Community Care Center, it is our staff that makes the difference. We employ a group of excellent, qualified, and resident-focused people that care about their work and the services they provide. In addition to nurses and staff who are always available to answer questions and lend a hand, each resident is paired with a coordinator, to help ease the transition and provide a familiar smiling face. Visitors are welcome every day of the week. Come to see our residents and friendly staff in action. Please contact us to learn more about the unique, sophisticated healthcare environment at Rolette Community Care Center. RN’s are on duty daily.